Updated: Corrected operating hours for Friday and Saturday. You can never have too many dining options, right? Well, welcome West Jackson’s newest restaurant–Sweet Ida’s. Located across from JSU’s baseball field on John R. Lynch Street, the restaurant offers fare that’ll bring comfort to your hungry soul. Sweet Ida’s kicks the day off with breakfast from 6 a.m. – 10 a.m. At that time, you can choose from three platters named after the family. For example, if you wake up with a sweet tooth, then grab $4.50 and try Pappa Toe’s Breakfast. You’ll get three pancakes or two waffles, two eggs, and your choice of meat (2 strips of bacon, 1 sausage patty, or 1 turkey patty). And if you’re not quite sure if a a platter is your cup of tea, then choose from the cinnamon rolls, sausage and buscuit, grits, coffee and other items that line their menu. 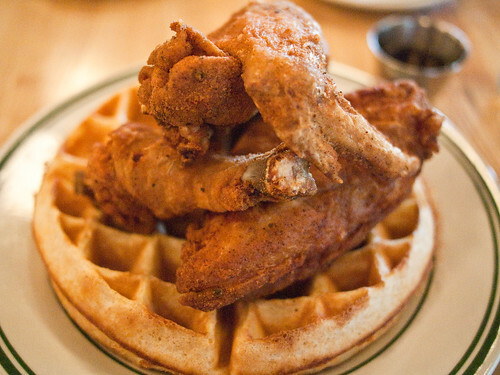 You can also go for the Chicken and Waffles or Fish and Grits–both of which are served all day. If you’re not in the mood for one of the specials (or if you swing by on a Saturday), Sweet Ida’s offers 1/4-pound burgers, ribs, catfish, whiting, and chicken wings. Add a side of baked beans, cole slaw, corn on the cob, tossed salad, or sweet potato fries, and you’ll have a soul that’s comforted like no other. Monday-Thursday: 6 a.m. – 3 p.m.
Friday-Saturday: 6 a.m. – 7 p.m.
Also, be sure to check them out on Facebook.